A straight leg and flattering seams and with added stretchability. 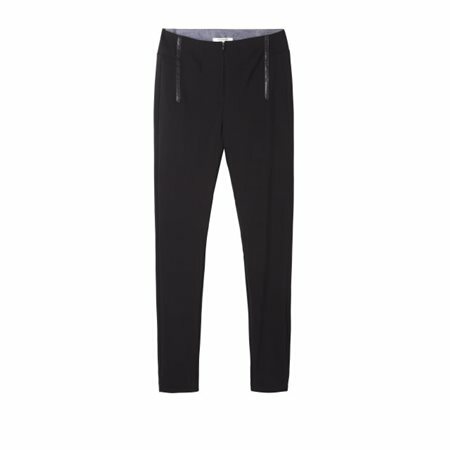 These Trousers ensures a comfortable and classic fit. The Leather detail will add a sophisticated style to your look.